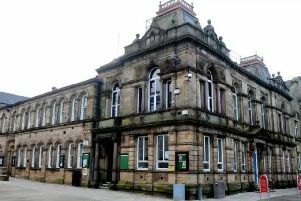 Lancashire’s council tax payers will have to dig deep to pay their bills this year after the county council approved a tax increase double the inflation rate. County Councillors gave the go-ahead for a 5.99 per cent increase in its council tax yesterday evening. It means a basic Band D payer will be charged £1,294 a year in council tax by the county council. A Band A payer will be charged £863 and a Band H payer £2,589 by the county council. The council tax increases are on top of those already agreed by other districts – Preston and Chorley councils are both raising their precept by 2.99 per cent – and the police precept which has risen by 7.25 per cent. At the same full council meeting, councillors also voted through £11m of cuts. Some of these, including changes to staff terms and conditions to save £5m and closure of Transport Information Centres – including ones at Preston Bus Station and Carnforth railway station – will now go out for consultation. The cuts bring the total savings and cuts made since the Conservative group came to power in May 2017 to £81m. He said the council tax increase included a 3 per cent rise to help pay for rising social care costs and was the maximum permitted without the need to hold a referendum. The budget included £29m to develop the Cuerden strategic site near Preston where it is hoped to create 4,500 jobs, an extra £500,00 for fire prevention work at Preston Bus station – the need for which was identified following London’s Grenfell fire tragedy – and £5m to keep libraries open. More than £50m on highways maintenance and £9m will go towards the City Deal. In total £795m will be spent on council services in 2018/19. More savings will have to be identified in the next few months and Coun Driver said: “The county council is no different from any family in Lancashire. “The people of Lancashire know if you don’t get the finances right you can forget everything else..
During a four hour, often acrimonious, debate both Labour and Liberal Democrat group leaders put up alternative budget proposals. Labour group finance spokesman Coun Steve Holgate proposed reinstating the Carnforth travel centre, not cutting community transport spending, retaining full PCSO funding and the creation of a franchised public transport scheme. Labour would ringfence £4m for pothole repairs in 2018/19. Labour leader Coun Azhar Ali warned the council tax rise would harm the most vulnerable county residents and said: “The people of Lancashire are paying more for less”. Liberal Democrat leader County Coun David Whipp tabled numerous proposals including creating a new Local Lancashire Lottery to replace axed funding to voluntary organisations. He suggested £1m could be raised by maximising use of county council assets. His proposals included reinstating funding for highway safety signing, PCSOs, information centres, street lighting, bus timetables, highways drainage and youth offending teams. • Stopping part funding 17 PCSO (Police and Community support officers) posts to save £265,000, with a predicted loss of eight PCSO posts. • Cutting £1.026m from t learning, disability and autism residential reviews. •Cutting £391,000 from community transport services reducing Dial-a-Ride services and renegotiating the the Community Transport Consortium contract. • A £280,000 cut in library book, ebook and audio book funding.